“Jerk” is to Jamaica, as “BBQ” is to America. The Jerk seasoning and flavor can vary wildly, but the general spice palette usually involves chiles, allspice, nutmeg, and cinnamon. Which sounds like desert spices (minus the chiles), but Jerk preparation and seasoning should be in every Grill Master’s cookbook. 1Except for the chicken, blend all ingredients in a blender until smooth. 2Add the chicken to a large zip lock bag or sealable container (but preferably a bag) and pour the marinade into the bag or container (use 2 bags if necessary). 3Marinate for 12 to 18 hours. You can marinate for 4 to 6 hours. But it’s best to marinate for as long as possible. 4After you marinate the chicken, discard the marinade and grill the chicken. 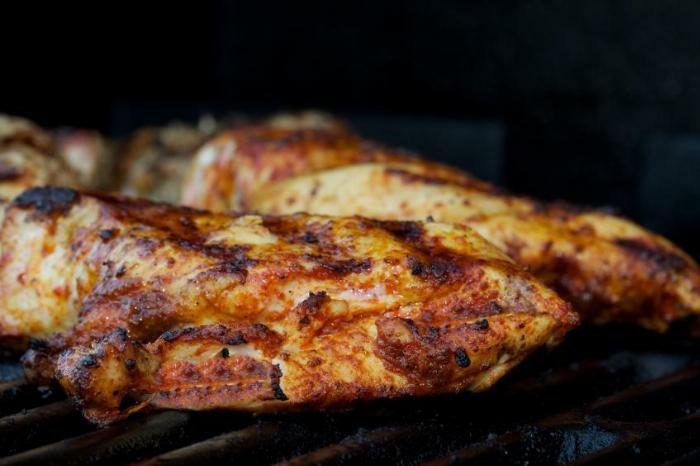 Because grills and grilling techniques vary dramatically, I’ll leave it up to you properly grill your chicken. Serve with Salsa, rice, and vegetables, preferably grilled vegetables.